Courts have held that a passenger in a car may be liable if he or she distracted the driver while operating the vehicle immediately before an accident. Does such liability extend to a person sending text messages to a person whom he or she knows is operating a motor vehicle immediately before an accident? Earlier this month, the Appellate Division answered this question in a case of first impression in the State of New York [Vega v. Crane, ___ A.D.3d. ___, 2018 NY Slip Op 03262 (4th Dep’t 2018)]. On a dark, rainy night in December 2012, Carmen Vega and Collin Crane were driving their vehicles toward each other on Route 33 in Genesee County. Mr. Crane was driving home from work and was exchanging text messages with his girlfriend, Taylor Cratsley. As the vehicles approached each other, Mr. Crane’s vehicle crossed the center line and the two vehicles collided, killing Mr. Crane and seriously injuring Ms. Vega. [A] person does not owe a common-law duty to motorists to refrain from sending a text message to a person whom he or she knows, or reasonably should know, is operating a motor vehicle. It is the driver who has the duty to see what should be seen and to exercise reasonable care in the operation of his or her vehicle to avoid a collision with another vehicle. If a person were to be held liable for communicating a text message to another person whom he or she knows or reasonably should know is operating a vehicle, such a holding could logically be expanded to encompass all manner of heretofore innocuous activities. A billboard, a sign outside a church, or a child’s lemonade stand could all become a potential source of liability in a negligence action. Each of the foregoing examples is a communication directed specifically at a passing motorist and intended to divert their attention from the highway. Did you know? Since our firm began in 1979, we have represented clients seriously injured by the negligence or intentional misconduct of others, whether involving motor vehicle accidents or other wrongful conduct. This has also been part of my litigation practice since I joined the firm over 20 years ago. If you or a someone you know is ever seriously injured by another person’s carelessness, you can always contact us to talk about your rights and available options. Information about our Personal Injury Practice may be found here. Hopefully, you’ll never need us for that. Earlier this week, I wrote an article on our firm’s website about some recent developments regarding partial enforcement of restrictive covenants: New York Employers Could Soon Have More Difficulty Enforcing Restrictive Covenants. The article was primarily based upon a Fourth Department case of Brown & Brown, Inc. v. Johnson, a case that was recently argued at the New York Court of Appeals. Yesterday, the Court of Appeals decided the case. You can read the decision here. This weekend, I will write a more extensive update about the case on our firms’ website, but there are still a few interesting takeaways to note. There have been a number of occasions where I have reviewed non-compete agreements containing choice-of-law provisions from Florida or other more “employer-friendly” states. From now on, it seems very unlikely that such a provision would be enforced absent some significant distinguishing set of circumstances. Employers wishing to enforce restrictive covenants in New York should narrowly tailor them to meet the requirements for enforceability under New York law. On the issue of partial enforcement, the Court of Appeals reversed the decision of the Appellate Division. But, the Court did so because it believed there were issues of fact that raised questions about whether the employer engaged in overreaching or used coercive dominant bargaining power to obtain the restrictive covenant at issue. That issue was remanded back to the lower courts for further proceedings. Partial enforcement is not assured, and employers should be concerned about the apparent trend by courts to decline to partially enforce over-broad restrictive covenants. I’ve never eaten at Jimmy John’s, but they must have some incredible sandwiches, made with either top secret ingredients or through a confidential process (or both!). It turns out that this sandwich chain requires its hourly workers to sign non-compete agreements, prohibiting its employees from working for a competitor for two years(!) after leaving Jimmy John’s. I don’t know how I missed that, but it was apparently widely reported back in October, in Business Insider and the New York Times, among other publications. According to the New York Times article, this isn’t really all that uncommon, as more and more employers are requiring low- and moderate-wage workers to sign these agreements. But, it seems to me very unlikely that these agreements would be enforceable in New York. Plus, given the expense of enforcement, it is doubtful that any employer would truly think it worth the cost of litigating these agreements. But, a low-wage under threat of litigation and unable to afford a lawyer to defend them in such an action may not know that, and feel trapped in their current job. In New York, these agreements are more common among professionals, executives, and higher-paid salespersons with access to confidential business-related information. And, even in those situations enforcement is not a sure thing. Restrictive covenants in employment—also referred to as non-compete clauses—are generally not favored, and will be enforced by the courts only to the extent they are reasonable and necessary to protect legitimate business interests, such as the protection of an employer’s trade secrets or confidential customer lists, or protection from an employee whose services are unique or extraordinary. Courts have also held that employers have a legitimate interest in preventing former employees from exploiting the goodwill of a client or customer, which had been created and maintained at the employer’s expense, to the employer’s competitive detriment. 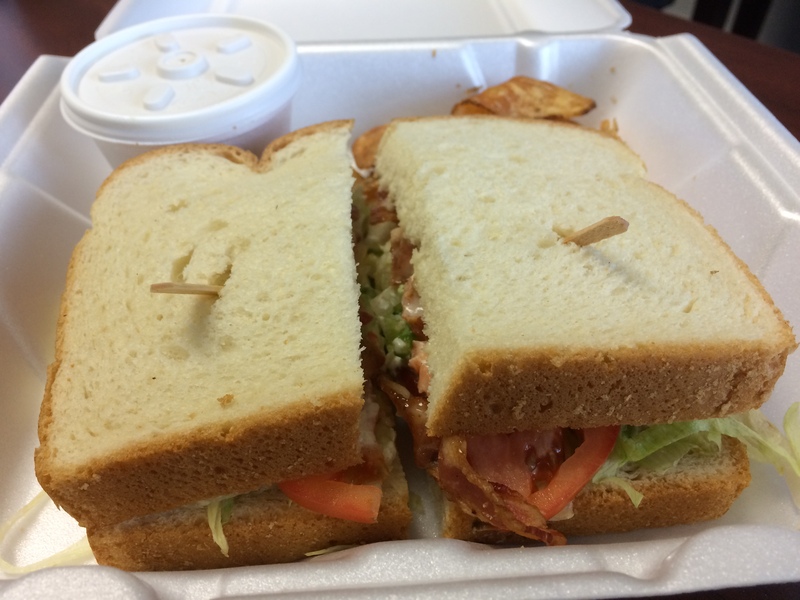 What legitimate interest would a sandwich chain have to justify preventing one of its sandwich-makers from leaving and working for a competitor? will enable low-wage workers to seek higher-paying jobs without fearing legal action from their current employer. The MOVE Act will ban the use of non-compete agreements for employees making less than $15 an hour, $31,200 per year, or the minimum wage in the employee’s municipality, and will require employers to notify prospective employees that they may be asked to sign a non-compete agreement. According to the press release, it is estimated that 8-15% of low-wage workers are asked to sign non-compete agreements in an effort to dissuade those workers from seeking better, higher-paying jobs within the same industry. Although such agreements in these contexts may ultimately prove to be unenforceable in many jurisdictions, passage of the MOVE Act would remove any doubt with respect to these employees. For more information about restrictive covenants and some recent developments in New York law, I invite you to read the latest posting on our firm’s website: New York Employers Could Soon Have More Difficulty Enforcing Restrictive Covenants. The Urban-Suburban Interdistrict Transfer Program has been in the news quite a bit lately, as several suburban Monroe County school districts consider whether to join the Program, which permits minority students from the Rochester City School District to transfer to suburban school districts. This evening the Spencerport Central School District voted to become the eighth suburban district to join the program. According to the Democrat and Chronicle, at least three more suburban districts are considering whether to join as well. The Program began in 1965, with the voluntary transfer of 25 minority students from a predominantly minority Rochester City School District school to the predominately white West Irondequoit Central School District. Program participating involved a voluntary commitment by each suburban district, and the decision-making process was typically accompanied by vigorous political debate, and the public airing of racial attitudes and prejudices. The Program survived an early legal challenge in Etter v. Littwitz, 47 Misc. 2d 473 (Sup. Court Monroe County 1965), aff’d, 28 A.D.2d 825 (4th Dep’t 1966), as well as funding cuts and recurring political opposition to its state funding. Over time, the Program expanded to include more transferring students and additional participating suburban school districts. 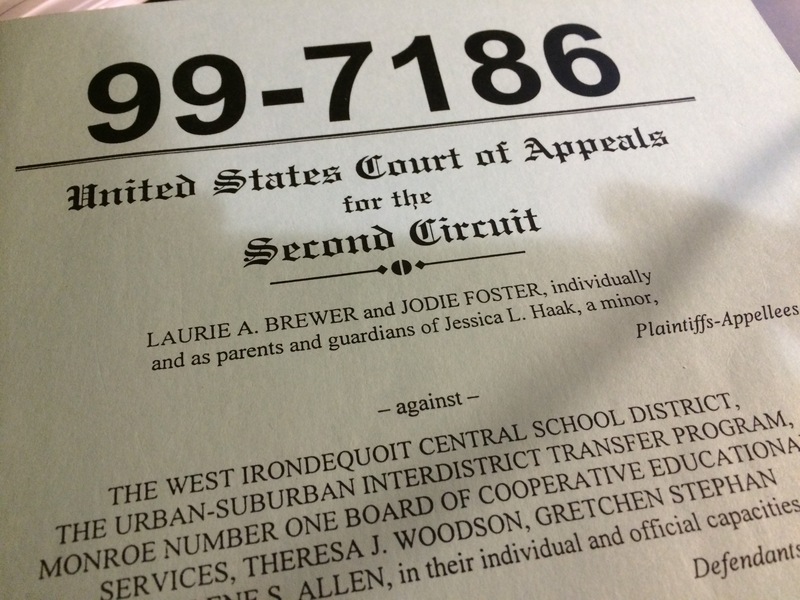 At the time of the appeal, six suburban districts participated in the Program: Brockport, Penfield, Brighton, Pittsford, Wheatland-Chili, and West Irondequoit. Subsequently, Fairport joined the Program, and as noted above, Spencerport has decided to join. The Program operates and is funded pursuant to State legislative and State Education Department authorization. This was true at the time of our appeal, and I believe it to be true today. Program literature and historical news accounts in the record report that the Program was the first such voluntary inter-district desegregation effort in the United States. At the time of our appeal, the Program was the only one of its kind in New York State. Although the “outbound” component of the Program generates the most press, at the time of our appeal there was also an “inbound” component to the Program, whereby non-minority students may transfer from participating suburban districts to attend school in Rochester. According to information in the record, approximately 29 suburban students transferred inbound to attend a Rochester City School District school for the 1996-97 school year, and 50 students did so for the 1998-99 school year. During the then-30 years of its existence, the Program received high praise and commendations from numerous people, including a sitting U.S. President, federal and state legislators, members of the New York Board of Regents and State Education Department officials, local school superintendents and administrators, teachers, parents, and students. For two decades your voluntary program has provided an opportunity for thousands of students to learn and grow in a multi-cultural environment. It has broadened their horizons and promoted high student achievement and academic excellence. -President Ronald Reagan, February 24, 1986 (Joint Appendix on Appeal at A-152). In upholding the Program, the Second Circuit held “that a compelling interest can be found in a program that has as its object the reduction of racial isolation and what appears to be de facto segregation.” Brewer, 212 F.3d at 752. As these young children from Rochester begin their education in Spencerport (and any other district joining the Program), I hope that they will be welcomed by their new peers–including many whose parents may have been opposed to joining the Program. Although society continues to struggle with whether or not voluntary desegregation programs like this are constitutionally permissible, many people believe that all of these children–whether from the suburbs or the city–will benefit from interactions with other children from different backgrounds. In January, I wrote about the notice requirements of the Wage Theft Prevention Act that apply to both new employees and existing employees. 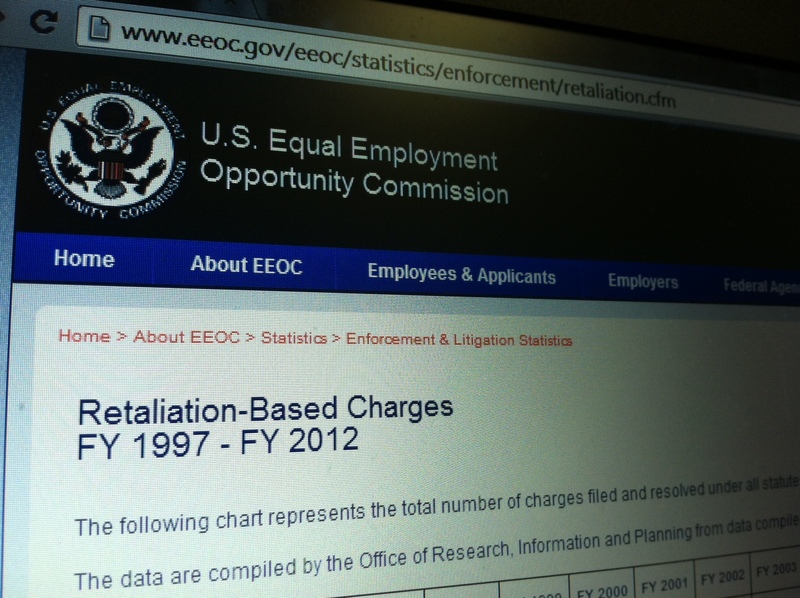 [See Employers: Do Not Forget Your Annual Employee Wage Theft Prevention Act Notice]. The Act required employers in New York to provide all new employees with a written notice setting forth the employee’s rate of pay and other pay-related information. The Act also required employers in New York to provide another written notice containing the same information to all other employees annually, before February 1 of each year. Not surprisingly, the annual notice provision was roundly criticized by employers and business groups across the state because of the administrative burden and expense imposed on employers. The Rochester Business Alliance noted that the required written notice contained the same information that employees already receive on their paystubs. Earlier this year, the Legislature passed an amendment to the Wage Theft Prevention Act, eliminating the annual notice requirement, and yesterday, Governor Cuomo signed the bill into law (L.2014, ch.537). The amendments also increase certain penalties for non-compliance and include provisions making it easier to establish successor liability against employers who attempt to evade the provisions of the law by purporting to set up new companies. In his approval memorandum, the Governor noted that he was signing the bill into law, even though there were some technical and substantive problems that will need to be addressed. I would expect the Legislature to act on these issues early in the new year. Sadly, for the second time in two weeks, an innocent driver was killed by a wrong-way driver on I-490 in Rochester. You can read about it here. Although nothing can truly compensate the families impacted by this senseless tragedy, it is often the case that the wrong-way driver in these situations has only the minimum amount of liability insurance–if he or she has any at all. When that happens, the injured victims may be able to receive compensation from their own insurance policy under a provision known as Supplemental Underinsured Motorist or “SUM” coverage. But, the tragedy may be compounded by the fact that an injured victim may only carry the minimum amount of SUM coverage. That is why I always tell my friends, family and clients how important it it to make sure you review your automobile coverage and make sure that you have an amount of SUM coverage equal to your underlying liability coverage. This is a part of your policy that you’ve probably overlooked, but it is perhaps one of the most important parts because it covers you in the event that you are seriously injured by a careless driver who has only minimal insurance. Here is an article we wrote a few years back that explains how this coverage works. I urge you to take a look, and make sure that you have sufficient coverage. The human resources manager for the defendant in the recent Texas Court of Appeals case of A&L Industrial Services, Inc. v. Oatis, apparently never took this course. Largely because of his actions, the plaintiffs—former employees who were terminated—were able to convince a jury not only that they were retaliated against for complaining about discrimination, but also that they were entitled to punitive damages. What is somewhat surprising is that the appellate court upheld these findings in spite of the fact that the plaintiffs failed to prove their underlying discrimination claim. To find out what happened, click here, and you will be taken to my post on our firm’s website. My wife finally convinces me to go on a trail ride. Year after year, no matter where we went for vacation, we always seemed to drive by a ranch offering trail rides. Finally, after many years of declining such requests, my wife finally convinced me to give it a try. 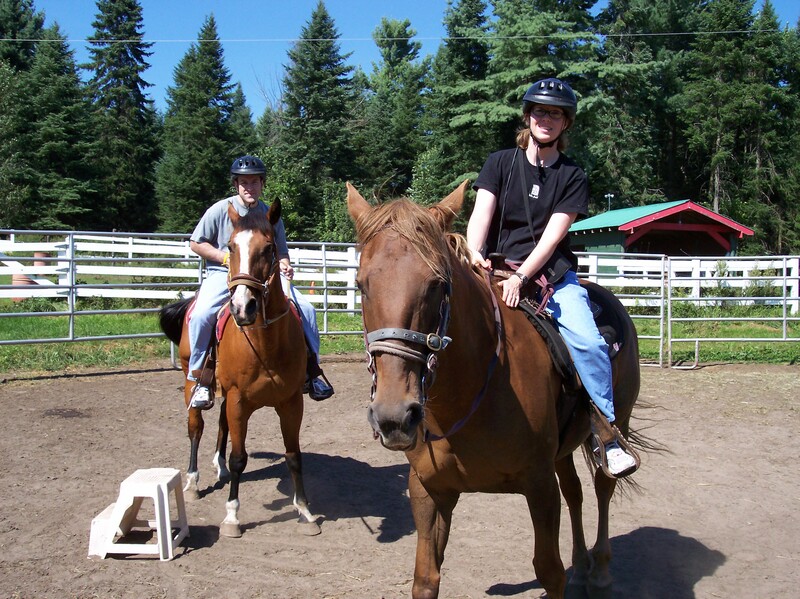 We were vacationing in the Adirondacks and I owed it to my wife to finally give horseback riding a try. Earlier in the week, I went overboard with the mountains we climbed–choosing in mid-hike to add another nearby mountain to our trek before returning to the car. Suffice it to say, this made it easier for my wife to convince me to finally go on my first trail ride. While the trail ride proved to be a fun experience (and I’ve been riding a few times since then), I was pretty nervous about being that high up on unfamiliar trails. I also remember the guide giving us a short pre-ride lesson, and while he was sitting on his horse, it stepped back and tripped on the small step ladder he used to get on the horse. This only served to heighten my anxiety, as I already had Christopher Reeve on my mind, and now I watched our guide nearly fall off his horse. But we made it without any other mishaps. By now, you’re probably thinking, “What does this story have to do with the injured horseback rider you mentioned earlier?” I am pretty sure that the ranch where I first rode was the Emerald Springs Ranch in Saranac Lake (how many other ranches could there be in Saranac Lake?). So when I saw a case about an injured horseback rider suing the Emerald Springs Ranch I knew I had to write about it. In Vanderbrook v. Emerald Springs Ranch, 109 A.D.3d 1113, 971 N.Y.S.2d 754 (4th Dep’t 2013), the horseback rider sued the Ranch, seeking damages for personal injuries she sustained while riding a horse on a guided trail ride at the Ranch. During the ride, the horse brushed up against a tree, plaintiff was unable to push away from the tree, and the tree caught plaintiff’s leg, allegedly injuring her leg and hip. The Ranch moved for summary judgment, asking the trial court to dismiss the complaint as a matter of law because, according to the defendant, the plaintiff could not establish either (1) the horse’s “vicious propensity” or (2) that the Ranch was aware of such “vicious propensity.” How could a horse have a vicious propensity? Should be pretty easy, right? Not exactly. As the court noted, “It is well settled that the owner of a domestic animal who either knows or should have known of that animal’s vicious propensities will be held liable for the harm the animal causes as a result of those propensities.” [Vanderbrook, 109 A.D.3d at __, 971 N.Y.S.2d at 755 (internal quotations omitted)]. “[A]n animal that behaves in a manner that would not necessarily be considered dangerous or ferocious, but nevertheless reflects a proclivity to act in a way that puts others at risk of harm, can be found to have vicious propensities–albeit only when such proclivity results in the injury giving rise to the lawsuit.” [Id. (internal quotations omitted)]. In an effort to convince the court that the complaint should be dismissed, the Ranch submitted proof establishing that the rider herself testified that she was in fact instructed by Ranch personnel to push off the trees if the horse walked too closely to the trees on the single-track trail. The Ranch bolstered this proof with the transcript of the Ranch owner’s deposition, in which she also stated that she told her guides to instruct riders to push off the trees of the horses rode too closely to them. The Ranch obviously thought this proof would support its arguments. But the court instead found that this proof instead illustrated a question of fact to be determined at trial as to whether the Ranch knew of the horse’s propensity to walk too closely to the trees, which was the behavior that allegedly caused the rider’s injury. The court also ruled that the Ranch failed to establish as a matter of law that the rider assumed the risk of horseback riding. “Assumption of the risk” is a defense often successfully asserted in recreational injury cases. However, as the court noted here, “Horseback riding participants will not be deemed to have assumed unreasonably increased risks.” [Id. (internal quotations omitted)]. According to the court, the Ranch’s evidence again raised questions of fact as to whether the Ranch unreasonably increased the risks of horseback riding by using a bitless bridle on their horses, which allegedly failed to provide plaintiff with the ability to control the horse, and by failing to give the plaintiff, who was a novice rider, adequate instruction on how to control the horse. 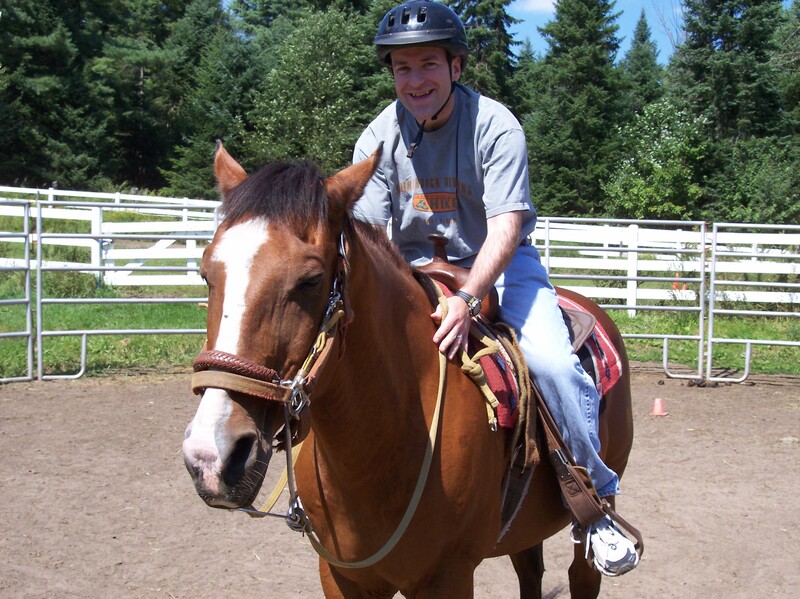 When looking at the pictures of my first ride, I noticed that the bridle on my horse also appeared to be bitless. Finally, the Ranch also sought dismissal of the complaint based on the waiver of liability that the rider signed before the ride. The court ruled that the Ranch failed to establish any entitlement to dismissal on this ground as well, finding that the release here was void as against public policy based upon General Obligations Law section 5-326. Although it is a common practice to ask participants to sign waivers like this before engaging in certain recreational activities, many (but not all) of these releases have been rendered void by this provision of the General Obligations Law. The issues presented by such releases are beyond the scope of this post, and I plan to write about that in a future post. So what happens next? In all likelihood, the case will be scheduled for a trial. Although the injured rider survived the Ranch’s motion for summary judgment, this only means that she was able to convince the judge that factual issues exist, warranting a trial. Absent a settlement of the claim, she now must convince a jury that she is entitled to recover. I just took the dog out, and discovered that it is snowing! Is it really that time of year already? I still have some leaves to rake. I guess I’ll have to put the rake away and get the shovel out. Earlier today, I was reviewing recent decisions from the Appellate Division, Fourth Department, and I came across a case that I thought would be the good subject for a post coinciding with the first snowfall. I just didn’t think I’d be writing this post today! The Appellate Division reversed, based primarily on the affidavit of defendants’ expert meteorologist, and the weather reports upon which that expert relied. According to the court, this evidence established as a matter of law that there was a storm in progress at the time of the accident. In opposition to the motion, plaintiff relied exclusively on an affirmation from her attorney, “who asserted, based on an inaccurate reading of the weather reports submitted by defendant that it was not clear whether it had been snowing at the time of the accident.” Parenthetically, I note that earlier today I read a post on the American Bar Association website, discussing a case by U.S. Court of Appeals Judge Richard Posner, who heavily criticized attorneys for being “afraid of math” and the sciences, and one wonders if this case provides further evidence in support of Judge Posner’s argument? The court also noted that the plaintiff failed to establish that there was any sort of “lull” or “break” in the storm such that the defendants would have had a reasonable amount of time to abate the slippery conditions. The failure to salt or sand a sidewalk does not constitute an exacerbation of a dangerous condition. Cases like this can be challenging, and not every accident is the result of someone else’s negligence. However, if you or a loved one are seriously injured and have questions about whether or not a claim exists, feel free to contact me. Since its founding in 1979, our firm has represented many clients who were seriously injured by the negligence or wrongful conduct of others. We would be happy to help you.